"We must set uniform rules and a single law on the appointment of pensions." 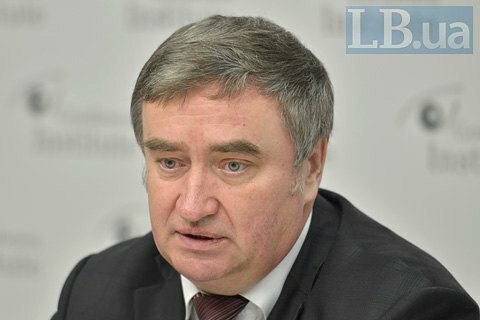 The Ministry of Social Policy plans setting uniform rules for the assignment of pensions before moving on to a funded system, the deputy minister Mykola Shambir stated at the round table conference in Gorshenin Institute. "We will work out unified rules and a single law regulating the appointment of pensions in terms of single age and basic parameters. This cannot be resolved in a day. We need a transition period, in particular, regarding the work in harmful conditions. For this category of workers we will set up a system of professional accumulation to gradually approach the appointment of pensions on a common basis," Shambir said as he outlined the future changes in the solidarity pension system. "Harmful working conditions will decrease the retirement age, which will be further compensated by greater deductions," he added. Shambir also stressed that the new rules are meant to make the appointment of pensions more transparent. "Today, there are nine options for calculating pensions, depending on the year of retirement. In this situation, the size of pension is almost unpredictable for the retiree," the deputy minister said, while every citizen must be able to easily calculate his or her pension on the basis of salary and length of service. He believes the introduction of a professional pension system for harmful working conditions will be one of the first steps toward the funded pension system. "As for the obligatory funded system, the new legislation will hardly be capable of resolving this issue, which does not mean we refuse to move in that direction. We just have to put the existing solidarity system in order and make it stable and transparent - and only after that start introducing the funded system," said the deputy minister. Shambir says the government is quite aware that the planned sharp rise of the size of pensions of over 1000 hryvnya may stir a wave of criticism "considering the situation in the economy".